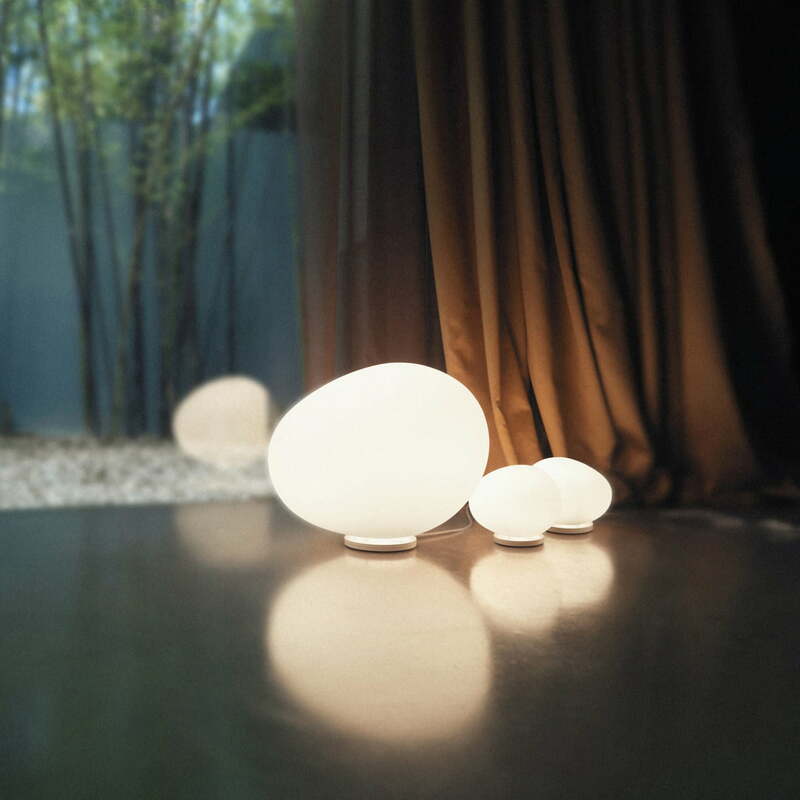 The Gregg lamp by Foscarini is the result of natural inspiration and intensive research. Ludovica and Roberto Palomba’s design is reminiscent of a large pebble made smooth by water and blends in seamlessly in outdoor areas. 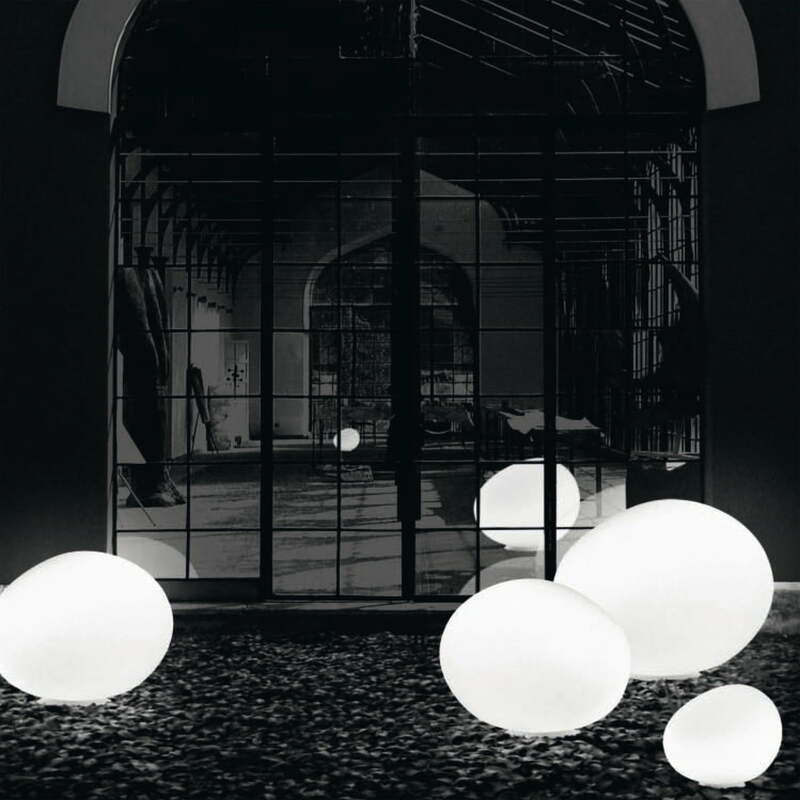 Gregg Outdoor is produced specially for outdoor use by Foscarini. 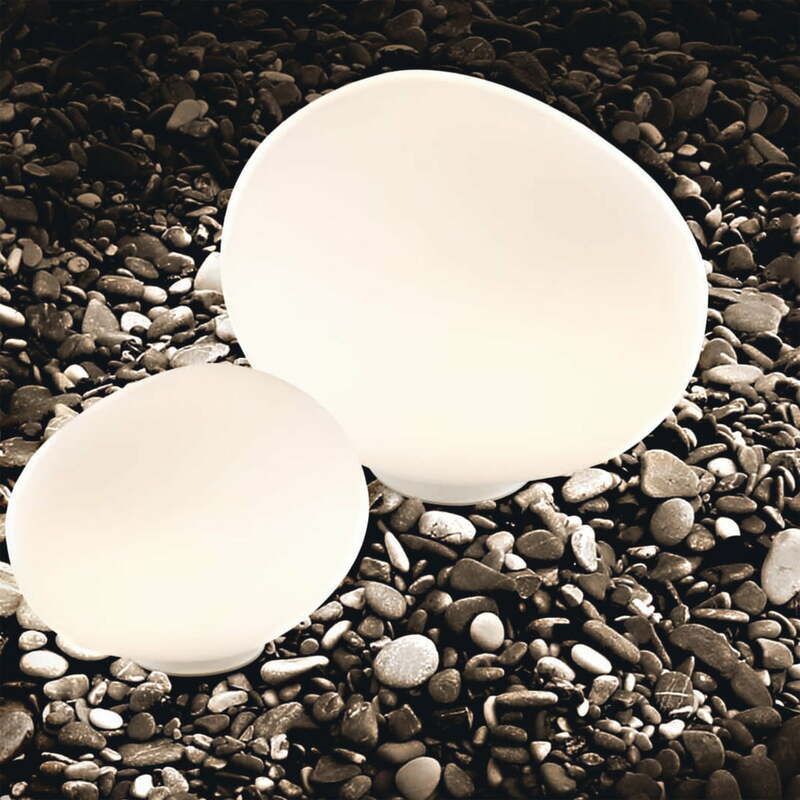 The polyethylene plastic used for the manufacturing of the lamp is shock and weather-resistant. 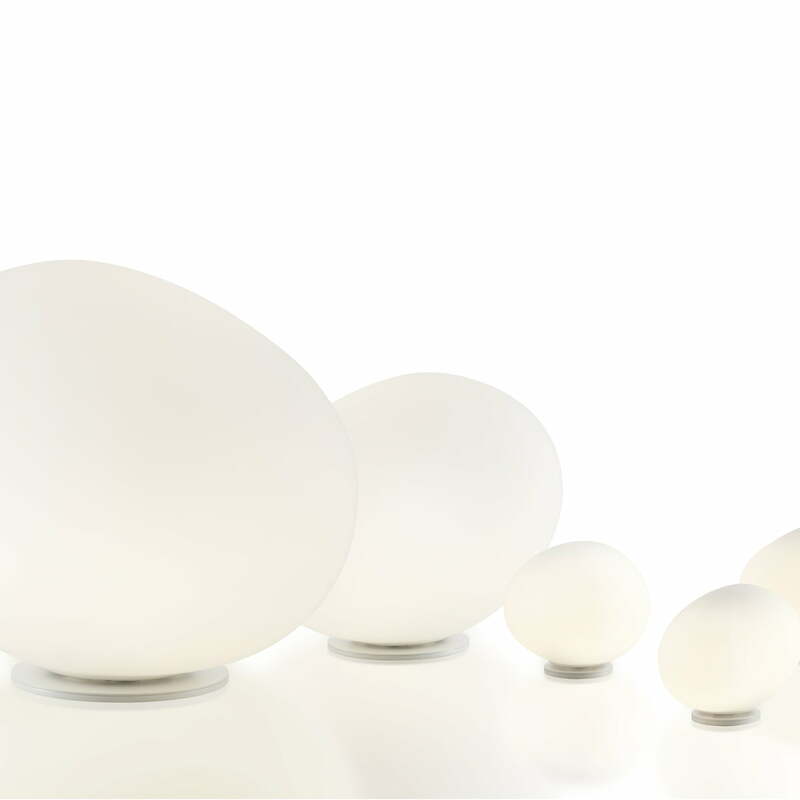 In the garden or on the terrace, Gregg’s natural shapes are just as much a feature as they are in commercial spaces. The soft light creates a cosy atmosphere. 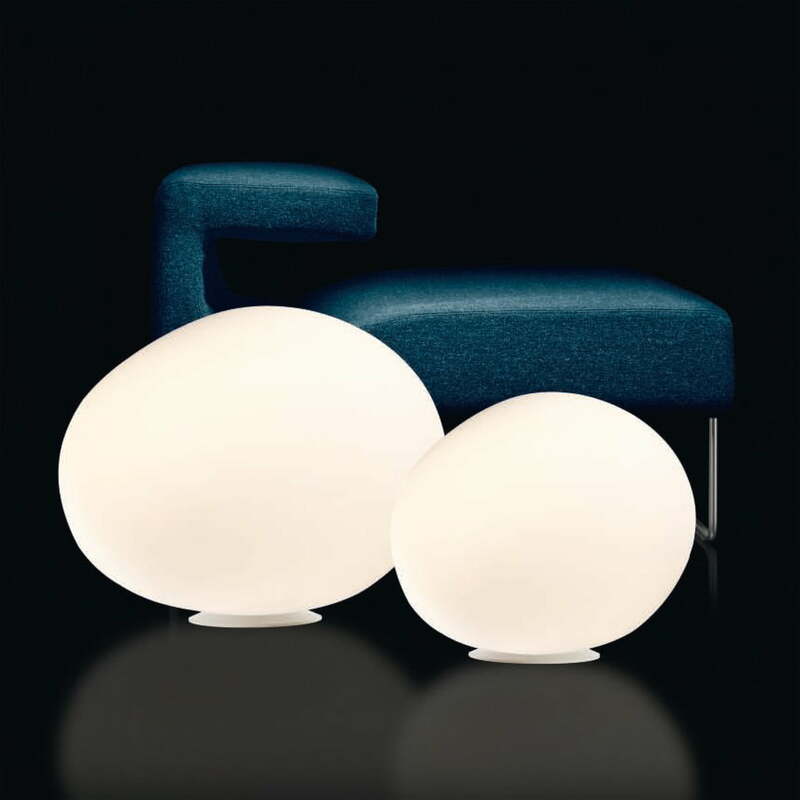 The material and shape of Gregg provide versatility, which is further enhanced through the provision of three different sizes: The media and grande variants can be placed on a table or the floor.The grande XL lamp is perfect for making a feature in larger spaces or on floors in houses or public buildings.